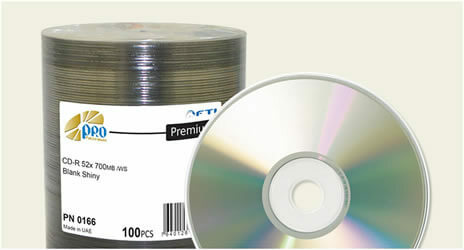 Rated AAA in reliability and compatibility with its Certified Swiss Quality, Falcon professional blank CD-Rs feature a low error rate, excellent compatibility, and hub-printable surfaces to get maximum results from thermal, inkjet and silkscreened printers. 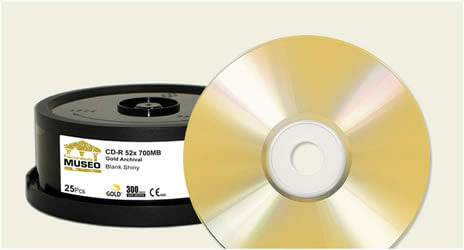 These CD-Rs are specifically designed for the healthcare sector for the output of valuable images and data, with a guaranteed archival life span of 50 years. 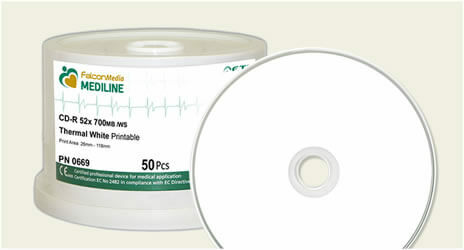 These blank discs offer the lowest error rates to ensure accurate recording and maximum read back on the large population of drives in the marketplace.